Since 2012, Black Trillium Fibres has been formulating unique and original gradient yarns ranging from neutral to neon. Of course, our exclusively milled yarn substrates aren’t just for gradient kits. With over 300 hand-dyed repeatable colors, you can always find something different and fun at each of our amazing retailers. 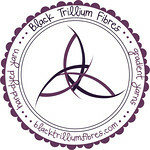 It’s all at blacktrilliumfibres.com - in-stock yarns including gradients, exclusive patterns and a list of retailers. Please remember to use the “Knitmore” discount code at checkout. 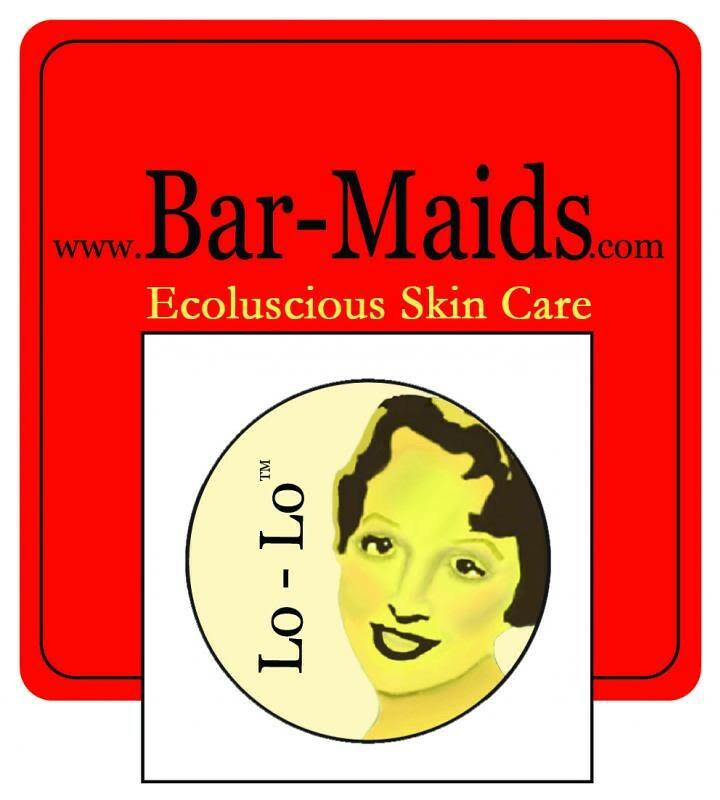 Miss Babs dyes an incredible variety of colors. From subtle to vibrant, monochromatic to uniquely variegated, there’s sure to be a color for you. Miss Babs also offers gorgeous gradients and hand-picked color combinations for multicolored projects. Try their newest yarn, Caroline, a merino-cashmere-nylon blend, for soft and beautiful accessories, or try Hot Shot for your next pair of socks. 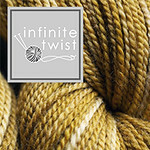 Find a fantastic yarn for your next project from Miss Babs. Hand dyed yarns - inspired by nature. Jasmin thinks that Emily will probably win Stash Dash. Gigi laments not having enough diverse knitting. She has finished the knitting on a pair of Vanilla socks, another pair of Vanilla socks is at the toe decrease. One sock for Sam now has a 60% afterthought heel. Jasmin is singing the praises of Susan B. Anderson's newest sock the Smooth Operator Sock. Jasmin swatched the Love is Love colorway for sweaters for the kids, and Jasmin's head exploded with all the amazing technique she got from Annetarsia and the Craftsy! class. The dye bled on a swatch she knitted. She mentions the Knitted Wit , the customer service experience, and the importance of swatching and washing your swatch. Gigi used the spin cycle on the washing machine on the freshly soaked Daybreak shawl that she was blocking for Jasmin. Jasmin cast on the Anna cardigan, because she needed some easy knitting. This is a mash-up of several sweater patterns from The Handy Book of Sweater Patterns, out of Lisa Souza's Supersport Merino. Operation Sockdrawer will be on hiatus until after Tour de Fleece. #elizalong #project sweater chest. This is the sweater equivalent of #operationsockdrawer. This week we answer a question out of the "What do you want to hear about?" thread on the Knitmore Girls forum, about books by knitting addicts. We mention a great number of knitters whose writing is also delightful. Clara Parkes (particularly Knitlandia), The Yarn Harlot, Franklin Habit's blog, Rachel Herron, (the Songbird Trilogy and the Cypress Hollow Trilogy), Correction: we said trilogy, but there are four books in the series. I think Jasmin also mentioned Firefighters. We watched a Periscope by Laura from a the Knit Girllls, Gigi likes Hunter Hammersen's Violently Domestic blog, Susan B. Anderson's blog, the Knittyblog , Alana Dakos's blog. Jasmin mentions A Beautiful Wreck, Gigi metnions the Lord John series, and Jasmin recommends all of Elizabeth Zimmerman's books. Jasmin mentions the Little Oak cardigan, the Playful stripes, and Annie and the Swiss Cheese Scarf. 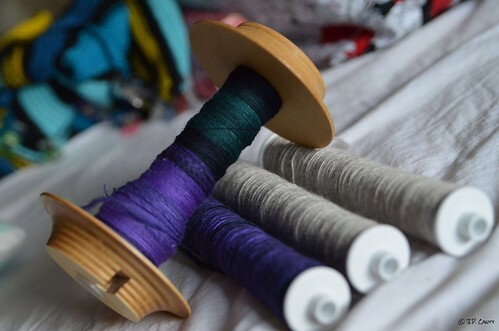 Gigi has so far spun up 12 of 32 oz for her project. She is expecting to need another month to reach her goal. Gigi is excited about a pattern for shorts she got for Sam on Etsy. Our young friend sewed all the darts on her muslin, and is ready to press them. Genevieve sewed on her lacing cards. I use the Pulp app for a blog reader...it works across all my Apple devices so not sure if it's on Windows based things. So glad GiGi has recovered so nicely. Thanks for being real and for the conversation!